In a certain point of view, food processors are almost like blenders, however, we can rather mention this equipment as a complete kitchen workshop. Food processors are some of the most important kitchen tools that every householder requires. Foods processors principally offer so many functionalities to save some valuable time, while doing the kitchen work. The life becomes easier, and no matter how big or small the task in the kitchen, food processors can complete the job. Today, our goal is to facilitate you with some exclusive tips for buying food processors. As this is one of the most important kitchen tool, you ought to know everything related food processors. That’s why, stay with us to get some of the amazing ideas while purchasing this handy kitchen machine. As, you have got to know all the things, pros and cons and the different parts, the following text will be little larger. So, buckle up now and let’s move to the following buying of food processors. Though blender and food processor look alike, they have so many differences. Blenders are usually called liquidizers, as their main function is to turn soft foods into liquid or emulsified product. Blenders are perfect tools for preparing beverages, soups, fruit purees, and sauces, because the blades can rotate up to 18,000 times per minute. On the contrary, food processors are stronger and more powerful than blender. 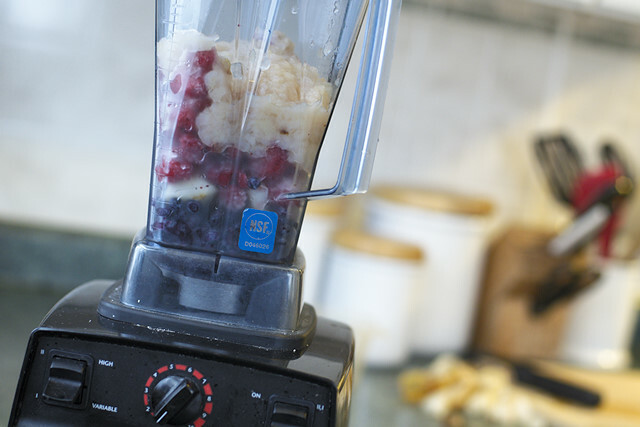 Our first mission is to define the differences between food processors and blender to you. Food processors powerful functionalities can easily break down solid foods into liquid or semi liquid form. However, the blades of food processor cannot spin as quickly as blenders. Most models have a single setting in the vicinity of 2,000 revolutions per minute, but two-speed models may reach top speeds near 10,000. Interchangeable discs and blades make food processors one of the kitchen's most versatile tools. They can shred, chop, grate, grind, cut, knead, and puree. So, while you are shopping food processors, it is vital to select the choices which can meet your demand. Moreover, there are difficulties with too small and too large food processors. If a chief works with the smaller one, he or she has to complete the task in many branches to fulfill the demand of sufficient food and larger food processor is often found impractical for daily kitchen work. Too large food processors may seem excess in your kitchen cabinet. So you have to know what features you love to have and the features will build the particular food processor perfect as your need. Features may add value to a food processor if the buyer spends time in the kitchen using them, however, those who only need basic functionality can likely afford to forgo the bells and whistles. What precisely are you able to use a food processor for? It is often confusing to understand what you are speculated to do with all the various attachments. It looks easier to only keep exploitation your previous mixer to do, no matter that a food processor will. A kitchen appliance is quite simply a mixer. After you use your kitchen appliance or food processor, you may save time, room area and dishes. Another perk to those food processors is that the big variety of colors and finishes obtainable. Not solely can you produce superb food, you may additionally get the choice of matching your food processor to your image excellent perfect. It’s going to appear a trifle discouraging initially to possess numerous choices, however once you get to understand your food processor, you will find that it's quite simply a vegetable chopper. Do not let your uncertainty keep you from investing for a best quality food processor. What to look for most, while buying food processor?? This is often additionally referred as the bottom. With an even bigger base, you get an even bigger and a lot more powerful motor. This tends to form them weigh additional, however an important base is not essentially a foul factor. A heavy base is a component of a high quality kitchen appliance. A significant base offers stability to your food processor and keeps it from moving off the sting of your table or counter. Most quality food processors come back equipped with many speeds. These vary in size, thus opt for the one that most closely fits your desires. Bowls for food processors will direct size from four to sixteen cups, with some mini food processors starting from a pair of to three cups. Large-capacity food processors are sized dead for larger groups; the smaller food chopper runs concerning seven cups and works well for one to 3 individuals. Not solely is your new food processor a handy timesaver, however it additionally comes with a mess-eliminating lid. The lid of food processors keeps the food from flying everywhere your kitchen room. The plunger is employed to push the food towards the blades to stay your fingers away from accident. According to experts, you must go for the food processor that is easily washable on traditional farmhouse kitchen sink or dishwasher. Kitchen Folks has a nice guide for selecting right kitchen sink as well. The blades and attachments that arrive with the food processor build it a really handy multifunctional appliance. The various blades and attachments enable you to slice, dice, chop, mix, grate, shred and mix to your heart's content. Most attachments area unit dishwasher safe for simple cleanup. Additionally to the quality chopping blade, attainable attachments could embrace a dough blade for combining dough, discs for slicing, shredding and julienning, a whisk for beating your eggs, a juicer for citrus fruits and graters for ice and cheese. Food processors reduces your working time, in order that they are in style personal and gift things. However, finding the perfect machine or appliance for a selected cook or room is intimidating. On-line marketplaces are a good resource for food processor shoppers as they usually provide more brands than is found in native retailers. Till then, have fun and enjoy.